Our new concept takes the financial sting and technical uncertainty out of website ownership. Our unique approach is to design for you the perfect website for your business without the sting of a massive upfront fee or big yearly charges to maintain your website. We provide you with a professionally designed website plus full advice and support for a low fee starting from just £200. Simples. Our low fees mean that our websites are easy to budget for. There are no hidden surprises or unexpected costs, everything is included in the price. Just choose a website colour style, then supply us with your text and any images you may have and we’ll take care of the rest. The proofing and approval are all done online, so you never even have to leave your desk. Depending on our own workload and your speed in proofing and approving the finished design, your website could be up and running within a week… not several months like some cases we’ve heard about. Our offer is completely transparent, everything listed is included in the price. The only options we offer are sensibly priced and you can take them or leave them, it’s entirely up to you. We also provide search engine submission and optimisation totally free. These are designed to put you in all the popular search engine listings. Once you have your website there are absolutely no more commitments from you. We are a professional Web design and hosting business, just take a look at this website and the style options it contains to see what you can expect from us. We believe our offer speaks for itself, so we won’t have sales people camping out on your doorstop day and night. Even when you commission us we’ll communicate and proof your project over the phone, by email or through the internet. Leaving you to do what you do best with the minimum of fuss and bother. Now that you’ve seen the service we offer, weighed up our arguments, been impressed with our design skills and astounded by our value-for-money pricing structure, and you’ve decided that now is the time to put together a first class website for your business… what do you do next? At this point we will contact you to proceed with your order. Send us the information we need to build your website (any text graphics you wish to have added). We can accept digital information by email, on CD, on DVD or even on floppy disk. Your text in a digital format (Microsoft Word, etc) plus any headings you want incorporated into the navigation menu. If you send hard copies to be retyped a fee will be required in advance; this is currently £11.75 per webpage. On receipt of your digital information we will begin to build your website and provide you with an estimated date of completion. When your website is at a proofing stage we will contact the nominated person and direct them to view, proof and approve your website. We launch your website to the general public. 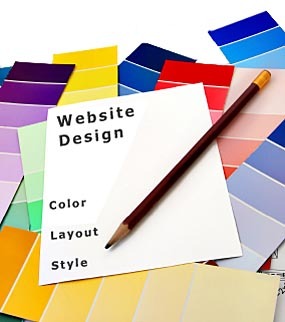 Your choice of website, offering professional design and superior usability. Comprehensive usage statistics via your own personal Control Panel. Full support via email and phone. POP3 email accounts or email forwarders as required.